Posted By:Unknown | At:6:45 PM Be the first to comment! The Hollywood Reporter is reporting that megastar Whitney Houston is in talks to join the cast of the new 'Sparkle' remake which is being helmed by Salim and Mara Brock Akil. 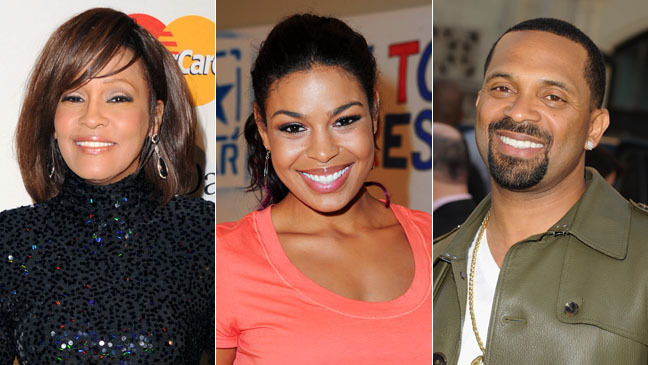 The title character of Sparkle will be played by American Idol winner, Jordin Sparks. Whitney will play her mother. Now, if you are a regular reader of this website then you know I'm not all that thrilled about my favorite film being remade. Although I love me some Whitney, this new casting news has done little to change my opinion. Mike Epps is also apart of the cast. He will play the role of a comedian who marries one of the sisters and get her hooked on drugs.